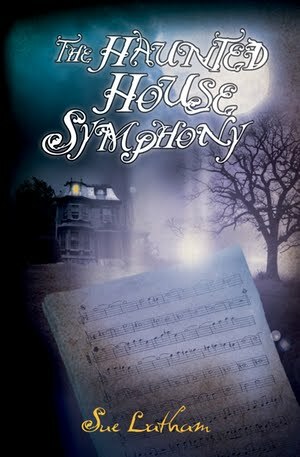 I'm Sue Latham, author of the forthcoming book, The Haunted House Symphony. This is my first novel and I couldn't be more excited. It's a ghost hunting mystery starring Margo Monroe, who recently left her boring office job to become a professional ghost hunter; her old pal Ernie, a slightly nerdy tech genius who works with her; Sandy, their phantasmophobic assistant; and some-time accomplice Elaine, with whom Ernie is secretly in love. They're working incognito out of a hidden lab at the local college, but their cover is blown when what looks at first to be a routine investigation turns into an adventure that catapults them into the spotlight. With the help of the ghost of an unfortunate young woman, they make some unexpected discoveries that turn out to be a lot more than last century's headline news. If you're into ghost hunting, you'll love my book! Look for it this summer.